Susan DeMaille is a Doctor of Chiropractic with PT privileges, and is a Pennsylvania native. 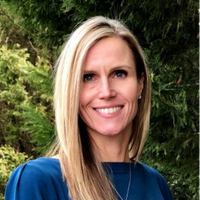 She earned her Bachelor's Degree from the Indiana University of Pennsylvania, and began practicing more than 20 years ago after graduating with honors from New York Chiropractic College. Dr. DeMaille has over 20 years of experience working in a multidisciplinary setting - integrating care with primary care physicians, neurologists, orthopedists and other specialties. Much of that time was spent running her own practices in both New York and Frederick, Maryland, where she was an active member of the community while raising her two sons. Now that her boys are off to college, Dr. DeMaille has relocated back to the Baltimore area to run our White Marsh office. That includes becoming a Certified Whiplash and Soft Tissue Injury Specialist through the Whiplash Injury Biomechanics and Traumatology program at the Spine Research Institute of San Diego. She looks forward to further developing Health Quest's White Marsh branch and embedding herself into that part of the community.